Joining a self insured group (SIG) demonstrates a commitment to the overall safety of your employees. The Groups administered by Pro Group benefit from an emphasis on safety, which reduces the chance of a claim ever happening. Sometimes though, an accident just happens. That’s why the NTNSIG, NANSIG, NRNSIG, BAWNSIG and AGSIG self insured groups have chosen Pro Group to be their group administrator. Pro Group is there to effectively manage the service providers involved in the accident investigation, the claims administration and the medical providers. Should you require representation at an OSHA hearing by a certified safety specialist, Pro Group will assist you there too. Pro Group has ensured that the experts needed to effectively handle a claim and your needs as a group member are always available to you. 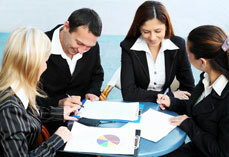 Pro Group utilizes our claims experts with significant training and experience. These services are included with your group membership at no extra charge. The management of the SIG and its claims are done with you in mind. As a group member, the most important things are the well being of your employees, their timely return to work if they are ever injured and appropriate cost effective medical care. Along with a strong safety policy for your organization, professional claims management and comprehensive safety services are keys to the success of a self insured group. By joining one of the SIG’s you take control of your workers’ comp dollar and reduce your claims cost. We will give you the tools to do it.